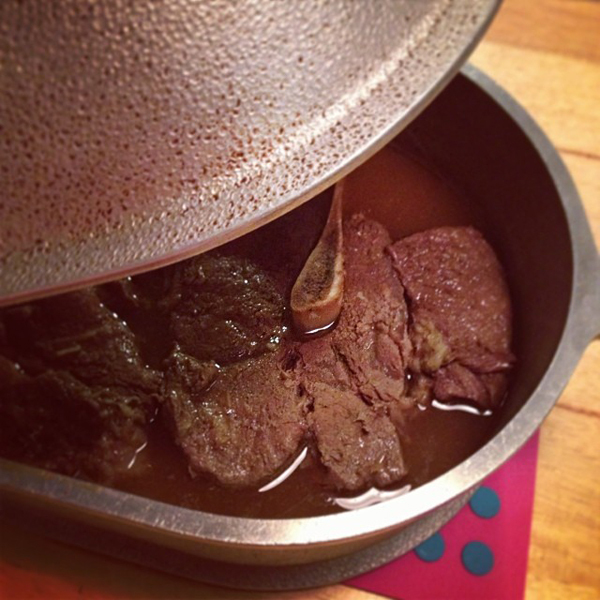 Before we left for the park to go cross country skiing I put a pot roast in the oven. Hoo boy did it smell good when we got home. Add mashed potatoes, gravy and corn and you have a great winter comfort meal. There are some foods that just scream winter comfort food. As soon as news that snow was coming last week my friend Mary Irene tweeted me that it was time for chicken pot pie. 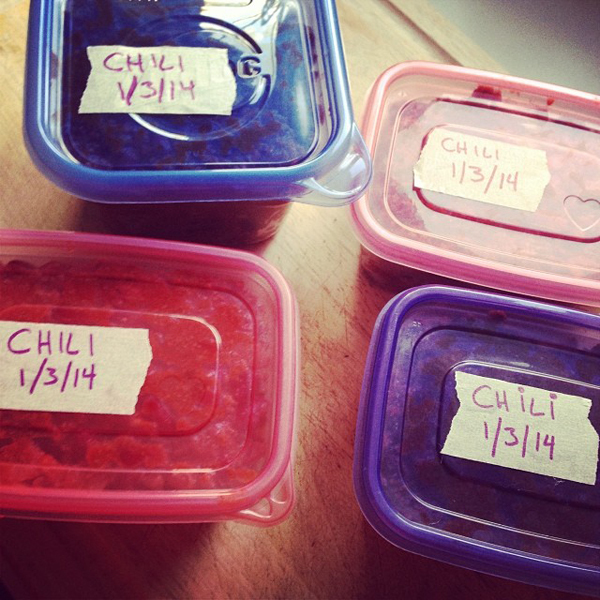 We determined this was excellent food for snowy weather during last year's big snowstorm. Luckily the last time I made chicken pot pies I made a big batch of filling and froze some of it. 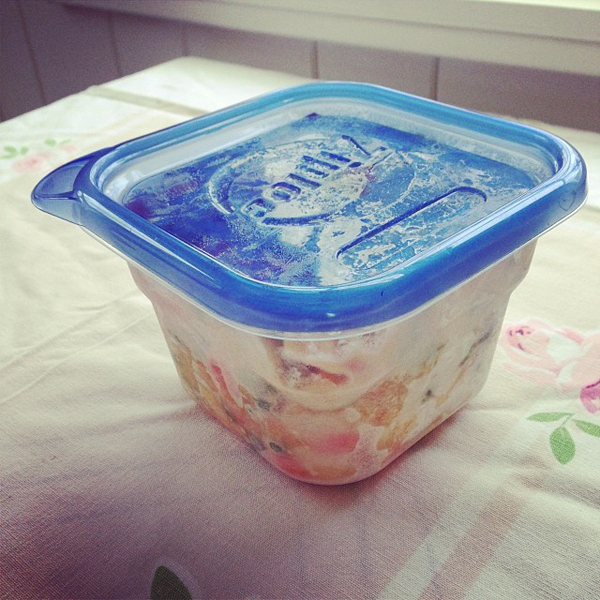 I was able to diga container out of the deep freezer and we were all set! 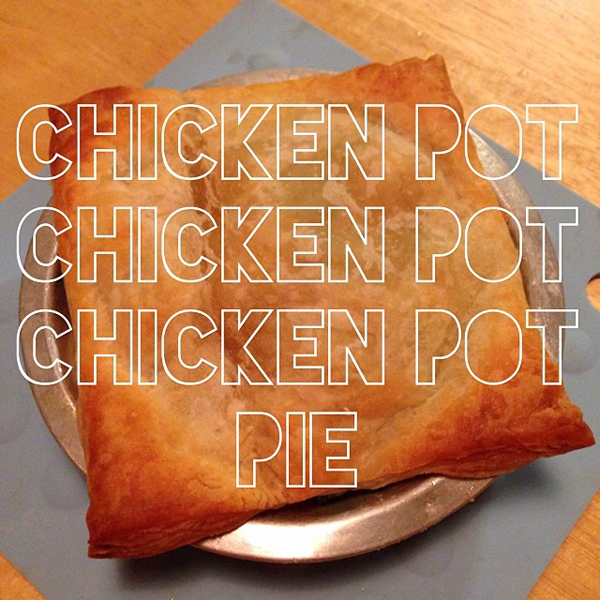 Definitely chicken pot pie should be declared the official food of snow storms. Aaron likes chili in the winter. 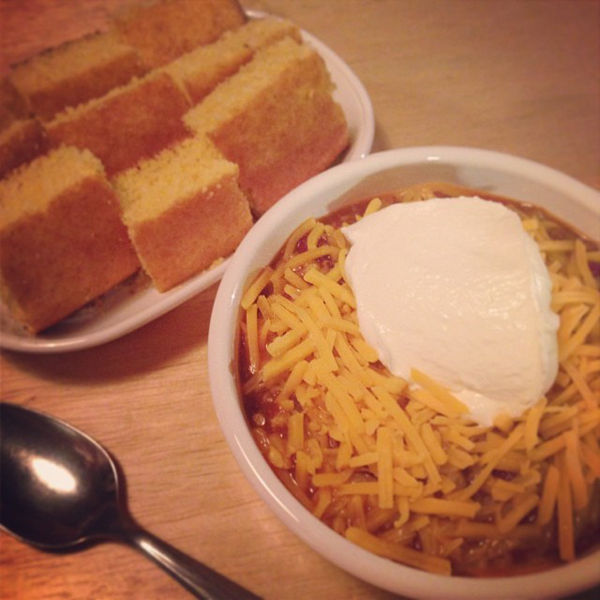 We found a great quick 30 minute chili recipe from Martha Stewart and had a batch on the table in the time it took to bake some corn bread to go with it. Aaaand he made a huge batch so I put it in containers and we have fast week night suppers ready to go in the deep freezer!